This design features a sleek flat design, 40 point finish and velvet texture, indicative of the Edge series’ innovatively sophisticated vision which will enliven your home cinema experience. 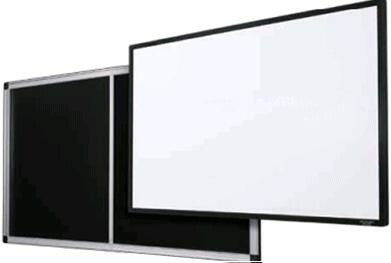 GrandView Cyber Edge Ultra HD Fixed Frame 16:9 Home Cinema Projector Screen encapsulates the sleek aesthetic of the new Edge series. This ISF Certified model showcases a 29mm Profile, 40 point margin and a lavish black velvet frame. The design will uplift your home cinema experience. 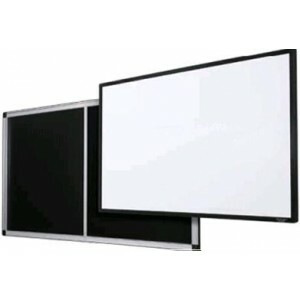 Impressively flat, the Edge collection of fixed frame projection screens delivers optimum 4K and 8K Ultra HD projection performance. Immerse yourself in a rich home cinema experience with this fixed frame design and 29mm narrow surround. The super narrow 9mm wide frame is crafted from aluminium with a black velvet finish to absorb any pesky and unwanted light. What's more, a second larger frame provides useful reinforcement and offers an ultra-rigid structure as a result of its central support bar. A successful screen has the ability to bounce, without changing colour ratios and reproduction, the correct amount of light back at the viewer. The new UHD130 collection maintains the accuracy and purity of the picture reproduction thanks to its utilisation of silky smooth material. In a unique manner pioneered by Grandview, the vinyl protection screen material is maintained under high pressure due to the insertion of steel bars into a looped seam that edges the material. The material is the evenly pulled from each side, as the bars are attached to the aluminium frame.